Where we have been and where we are going! Back in the 50’S & 60’s when Dad started plying our coastal waters in the first rendition of the F/V Eightball, trips were much shorter and closer to shore as the boats were not as seaworthy and dependable as today's vessels. 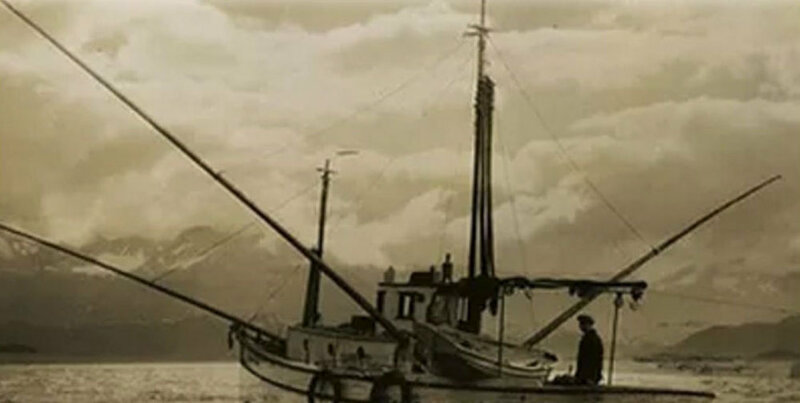 Back then a fisherman didn’t have the luxury of modern day electronics to assist in weather forecasts and sea conditions to mitigate the hazards of an already dangerous job. Still, a fisherman had to brave the unpredictable waters of the mighty ocean if he wanted to catch his fair share of fish. So Dad would push forth through the perils of the Pacific often times needing the assistance of the U.S. Coast Guard to return safely to port. You might even say Dad and the Coast Guard were on a first name basis. It was a time that was known as the derby days, a style of fishery where a fisherman catches as much as he can, as fast as he can! There were thousands of boats on the ocean and millions of fish in it, there were no quotas or trip limits so the measure of success was determined by sheer numbers of fish caught, as quality of catch was an afterthought. The standard was set by the big boats that landed hundreds, or nearly a thousand fish per trip. The rule of risk and reward weighed on a fisherman like a large anchor off the bow of his boat in heavy seas. It was hard for us to compete with our small boat but dad never gave up, showing up year after year in search of his prized catch. 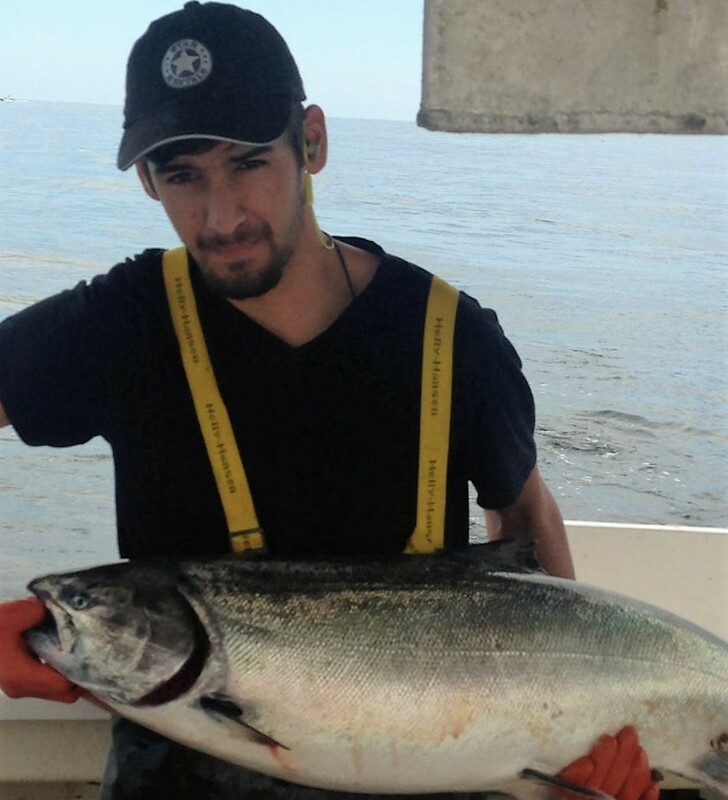 By-Catch such as Halibut and Rockfish hardly entered the equation as most fishermen saw them as a nuisance. I can still hear dad to this day saying, as he saw another Yellow-Tail Rockfish flopping in the water well behind the boat on one of our lines, “ahh shoot, it’s another stinking sea-bass”! My how times have changed. Dad caught a few fish, but because of the value he placed on each and every fish he didn’t always reap the same benefits as other fisherman. I was always the little boy at the dock wondering what in the heck those big boats did differently that gave them the kind of success I could only dream of. Dad stayed true to his convictions though, and taught me that quality was more important than quantity. Concepts have changed through the years, some forced by the reduced quotas and trip limits we are now faced with, some self imposed by fishermen wanting a higher quality product. The derby days are all but a memory and our fishery is now managed in a more conservative approach with strict quotas, trip limits and more restrictions than ever to help protect a resource to ensure it’s existence for generations to come. One thing that hasn’t changed are the values my Father instilled in me for each and every fish that is landed on the Eightball! The measure of success has changed with time for all fishermen and now quality is paramount over quantity. Dad is 90 now, I’m skippering the 4th rendition of the Eightball and beginning to reap the benefits of a lifetime of skills taught by my Father. Now it’s the other guys at the dock wondering what in the heck the Eightball does differently that separates us from the fleet. We are Pacific Northwest commercial Troll fishermen and still catch each fish one at a time, by single hook and line, hand fought to the back of the boat. Dad doesn’t venture out anymore but I’m teaching my kids to do it the way Dad taught me. Because of the high standards we have, it has opened doors that most fishermen would have never imagined possible. Selling our fish to our customers is not just a gratifying experience for us, it also allows us to develop relationships and deliver our fish to people who truly appreciate the extra time and care spent that elevates our fish to what we believe to be PREMIUM GRADE. A big part of our process of course is The Eightball! She’s still considered a small boat at 32’ L.O.A., but for our state and the quotas we receive, she’s actually perfect! Her smaller confines and slickness through the water give us an advantage over the big boats as it facilitates our handling process in an excellent manner from the time we leave the dock, until the time we return. As a heavy built fiberglass fishing vessel brought originally into production in 1977 as a Bristol Bay gillnetter, she has excellent seaworthiness, is able to fish rough water and still compete with the big boats. Dad and I did a major retrofit in 2004 and turned her into the Troller she is today. Our prices and quality will surprise you!